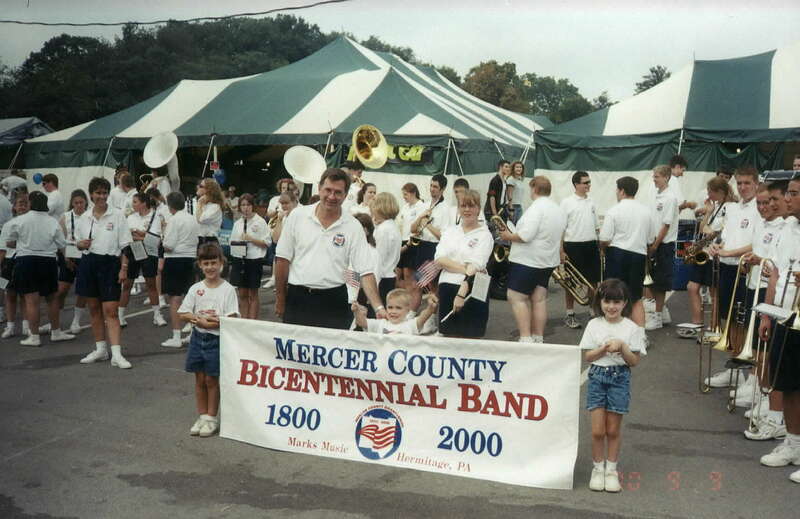 The Mercer County Bicentennial Band was formed to celebrate Mercer County's 200th anniversary. 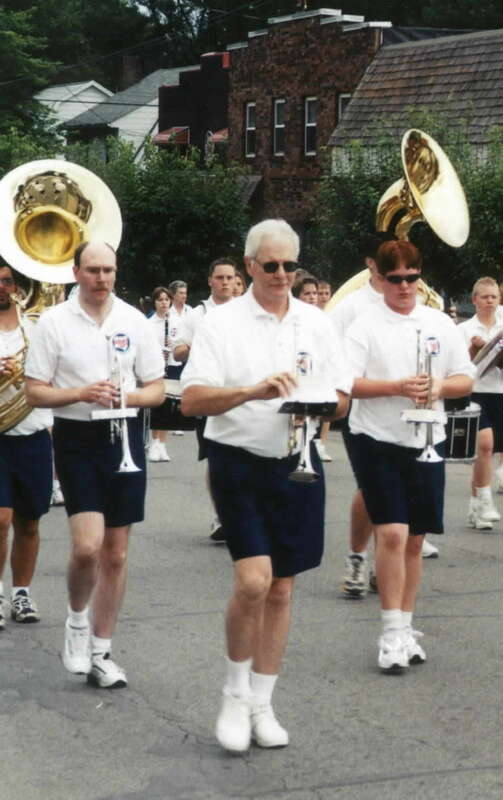 The band was under the direction of Dr. Hendley D. Hoge, Director of the Mercer Community Band; Dr. Edwin Arnold, Director of Grove City College Band and Mr. Donald White, Director of Bands at West Middlesex High School. The 90-piece band was comprised of outstanding high school, college and adult musicians from throughout Mercer County. 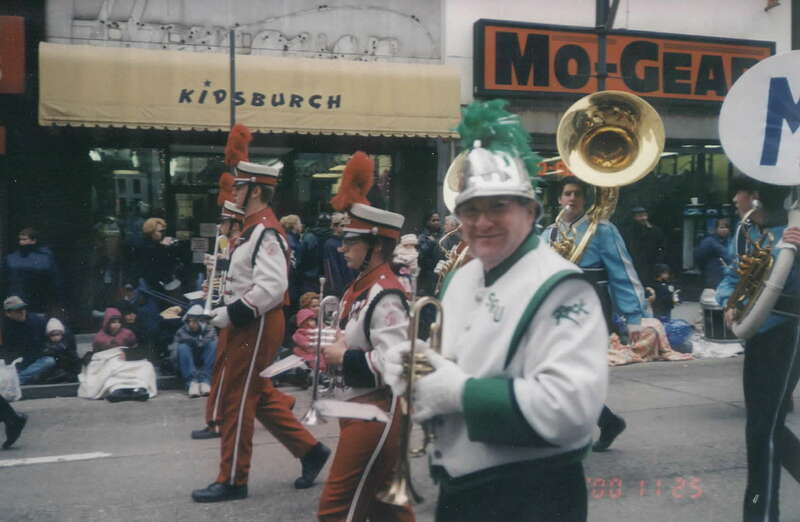 The Mercer County Bicentennial Band marched in eight summer parades throughout the county and concluded its schedule with an appearance in the "Celebrate the Season" Parade on November 25 in Pittsburgh. 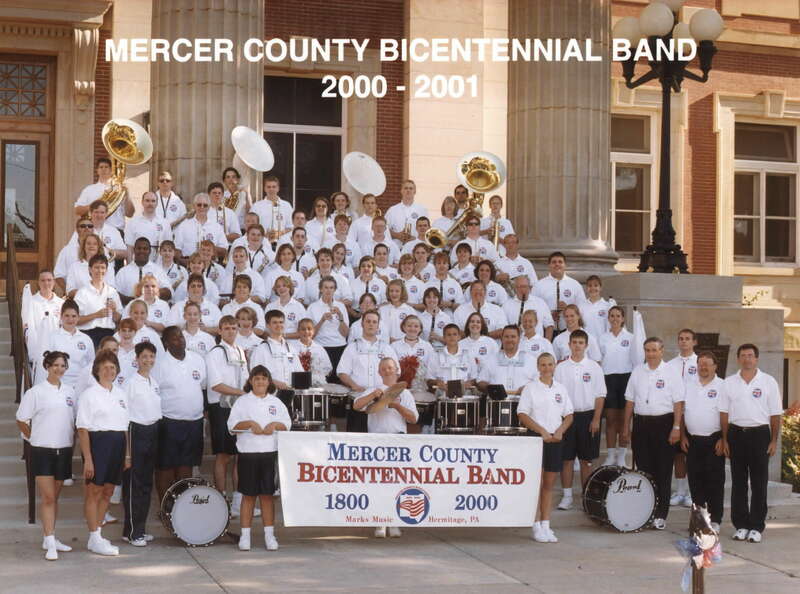 The Mercer County Commissioners recognized the members of the Mercer County Bicentennial Band at a special banquet on September 24, 2000. 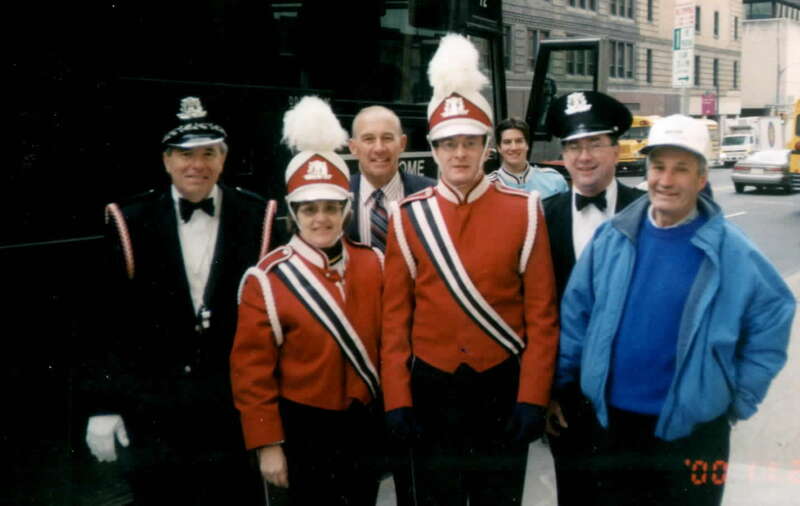 Banner Carriers, Lindsay Runniger (L) and Rachel Hoge (R) along with Director, Dr. Hendley Hoge and other band members, prepare for a performance. 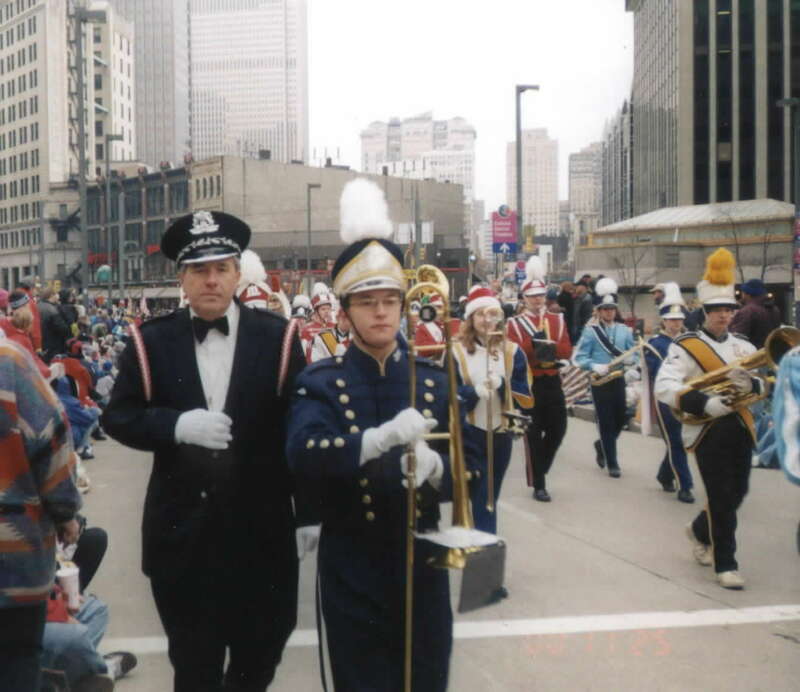 Dr. Arnold and Bicentennial Band members march in the Pittsburgh parade. 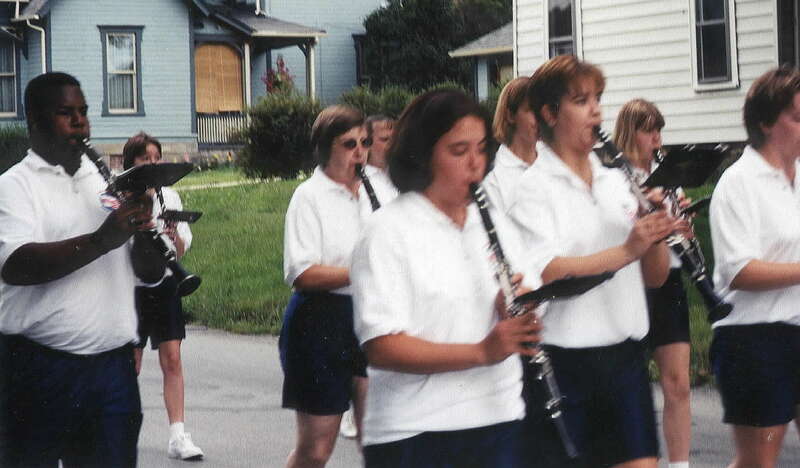 Mercer Community Band members Nancy Jewell, Wendy Ferguson and Shelly Campbell, marching with the Bicentennial Band. 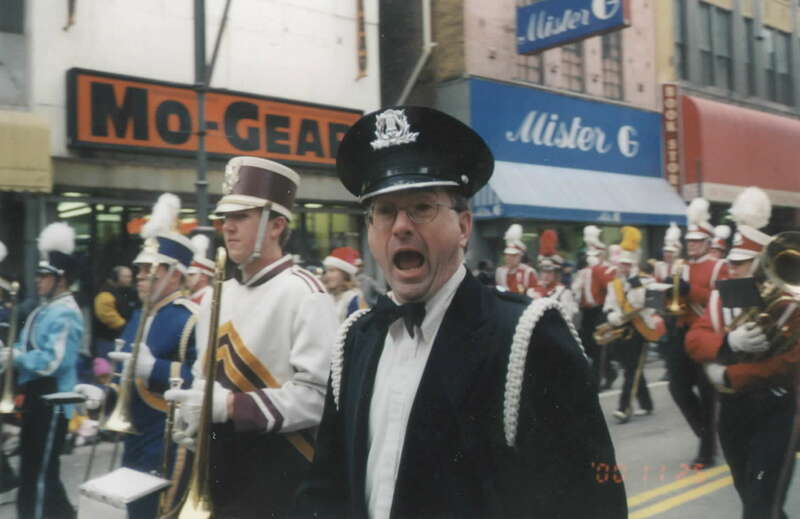 Bicentennial Band Co-Director, Dr. Hendley Hoge, enjoying the moment in Pittsburgh.